The winners have been announced in the ISEA Image Competition 2013/14. The competition was an opportunity for those involved in sports engineering, science, and technology to showcase their work. Conveying the outstanding research and consultancy that is being conducted in sports engineering today. Best in Computer Generated category went to Dr Marcus Dunn for his image showcasing his work in markerless measurement of step and movement strategy during elite match-play tennis. As Dunn explains “current knowledge of tennis player-surface interactions is limited. The analysis of player step and movement strategy during match-play tennis will improve knowledge of player-surface interactions”. 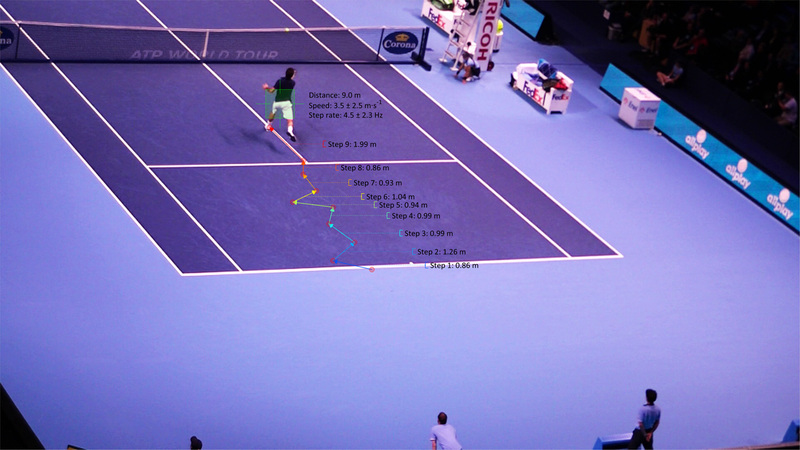 The image demonstrates the application of a video-based method for measuring a player’s step and movement strategy during elite, match-play tennis. This application is the direct result of Dunn’s PhD project that developed a single camera method for measuring step and movement strategy in sport. The method does not require the application of sensors or markers, e.g. video-based, allowing analyses to be performed in situ, without interfering players. The method represents a flexible approach to gait analysis which could be used for different applications, ranging from sport to surveillance.